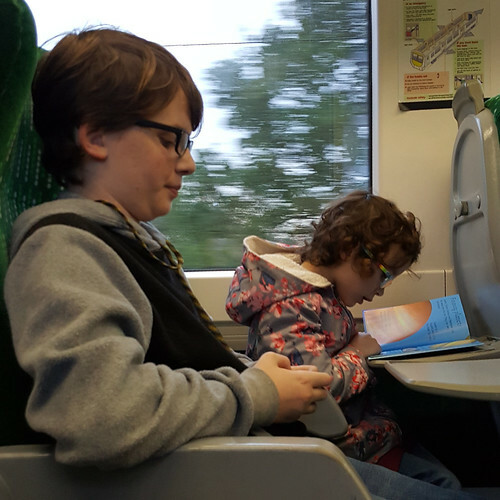 This is her reading it on the train to Brum this weekend, sitting next to her cousin. Achievement Unlocked #2: Keiki has figured out how to drive the tablet on his own, without his sister's help. 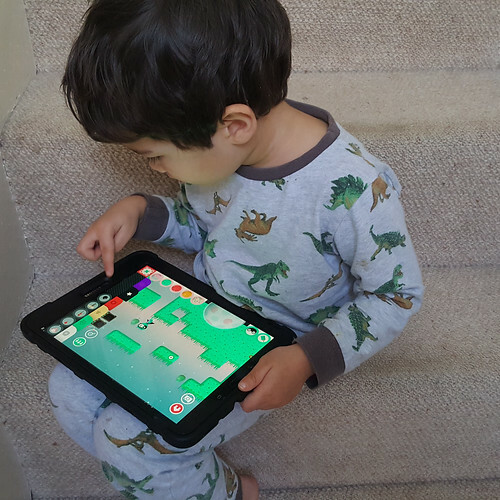 This is him creating his own world in the Toca Blocks app. You may notice that there is a lot of green involved. Care to guess his favourite colour? Achievement Unlocked #3: I'm not sure this counts as an "achievement", but Keiki has also discovered falling asleep in front of the television. 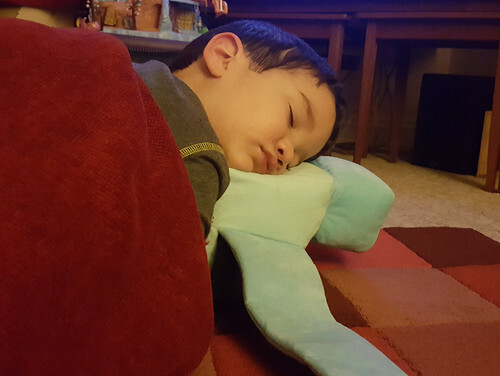 He's using the cuddly toy version of the Rosetta and Philae spacecraft as a pillow. Possibly he dreamt of flying around a comet, but it's more likely to have been a bucket of infinite sweeties. This entry was originally posted at https://nanila.dreamwidth.org/1206638.html. The titration count is at .0 pKa.